With the passage of the draft constitution in Parliament, and most of the political class seemingly agreed to campaign for it in the referendum, Kenya has come very close to finally putting this matter to bed. A section of church leaders are opposed to the draft, mainly because it retains the kadhi courts, and also because they believe it’s cleverly trying to legalise abortion. They have sworn to campaign against it. That will be something, with priests and bishops on one side holding rallies to urge a “No” vote, and the politicians on the other pushing for a “Yes” vote. It is a high stakes game for the churches. Because they have not recovered from the alleged complicity of some of the church leaders in the 2008 post-election killings, if they go openly for a “No” vote, they cannot afford to lose. If they do, they will be disgraced like the Catholic Church in Rwanda, which opposed the Rwanda Patriotic Army rebels, and whose leaders actively participated in the 1994 genocide. In the end, the RPA won and is now the government. And it never allows the Catholic Church to forget that it fomented genocide. It will be decades before the Catholic Church recovers its moral authority in Rwanda. However Kenyan politicians, like their colleagues elsewhere, can afford to lose. That is the currency of their trade. They just pick themselves up, dust themselves off, and wait for the next political fight. Kenyan commentators and politicians also like to speak about how the nearly 20 years it has taken to get this far in the constitution making process is one of the longest in the world. We checked, and it is not just “one of the longest”, but the longest. Until 2008, the record was held by Burma (Myanmar), which took 17 years to get its constitution. The common explanations for why Kenya’s constitution review has taken so long are, first, lack of political will and, second, because it has a querulous multiparty system that no single group has been able to totally dominate in recent years. However, Burma doesn’t have such “problems”. First, Senior General Than Shwe and his fellow officers are running one of the most repressive regimes in the world. In 1990 when the military realised that the popular opposition was going to win the 1991 elections, they placed her under house arrest — where she remains 20 years later. DESPITE THE DETENTION AND THE fact that she was not able to campaign for her party, it still won 82 per cent of the parliamentary. There are no prizes for guessing what happened next — the military refused to recognise the results, end of story. At about the same time, the military junta established the National Convention to write a new constitution. While Kenya and quite a few other countries in Africa had a highly consultative process, there was no such thing in Burma. According to online news journal The Irrawady, the Burmese public was largely excluded from the constitutional drafting process. The National Convention’s proceedings were not open. Delegates who opposed the military junta’s views were expelled or silenced. The public did not get a glimpse of the draft until weeks before the referendum, so newspapers there did not make money publishing the draft as the ones in Kenya have. The military has a tight control of everything, including counting votes. So when the referendum on the constitution took place in May 2008, the government claimed that 98 per cent of the population turned out and 92 per cent voted in favour. That result was very unlikely because the referendum took place soon after Cyclone Nargis devastated the Irrawaddy Delta and killed more than 138,000 people. So after 17 years of calling the shots at every stage of the constitution making process, the soldiers still wanted to leave nothing to chance. Burma’s constitution requires more than 75 per cent of the Parliament to vote in favour of an amendment. That cannot happen in Burma under military rule, but just in case, the junta ensured the constitution also allocated 25 per cent of the seats in Parliament to the military. So if a fairly effective junta can take 17 years without any opposition to have its constitution, it should not be surprising that a fractious democracy would take 20 years. And Kenya should also count its blessings. After 20 years, it has a draft that considerably expands freedoms and rights. In Burma, after 17 years all they got was heartbreak. The junta simply entrenched dictatorship. Question: Does providing guarantee that Myanmar’s generals will be free from prosecution after they are not in power help lead to transition to democracy? Answer: Yes, the generals in Myanmar want to know that they have a future after they are no longer in power. They want some compromise. Just like in Indonesia; the military was moved out of politics but they retain some influence here. In South Africa, (in the aftermath of apartheid system), not everybody was punished. Some peopleneed to be punished, such as those who committed crimes against humanity. There are different levels of crimes but it is important to limit vengeance and retribution because if you go too far, you will destabilize the democratic transition. Former rulers will fight and so you must find the middle ground. It is hard. Human rights activists sometimes are more interested in retribution than finding the middle ground because it involves compromise. You have to find a balance. Is it acceptable for the international community to allow perpetrators of human rights crimes to walk free? It will need compromise and constitutional reforms factoring in how to include the minority and how much power to give to the military (after the end of dictatorship). In Chile in 1989, you had (president Augusto) Pinochet out of office but the military had some influence afterward. In Poland in 1989, some radical activists were against some guarantees that were given to communists. But compromises are sometimes necessary. You must deal with the past, which can arise in different ways. What role can Indonesia play in Myanmar? 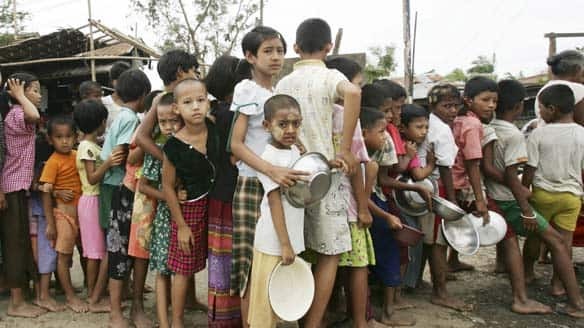 Indonesia has the authority and credibility to play a role in the transition of Burma considering that it is the largest country in Southeast Asia. It is a democracy ruled by the former military general. Indonesia has the authority to enter Burma more than we do. Indonesia believes in quiet diplomacy. President Susilo Bambang Yudhoyono is a sophisticated man. He doesn’t believe in imposing the will of Indonesia on Burma. Indonesia believes in a quiet diplomacy. He can use that to encourage a change in Burma, Indochina as well. Indonesia has a role to play beyond his border. We are engaging with Indonesia to spread democracy. The relation between Indonesia and the US is one of the most important relations we have in the world in terms of democracy development. We have difficult relations with authoritarian countries. We must look together for a change to work together in Burma. It is important for the US to work with Indonesia on Burma. What can push change in Myanmar? Domestic drive. International push can only provide some aid but the drive has to come from within. But the domestic factor is too weak? It is not that the domestic factor is too weak but the military regime is too severe. You have thousands of people who took to the streets in 2007 for revolutions, but they were repressed. One thing that was different in Burma: In the 1988 uprising, 3,000 people were killed while in the 2007 uprising, 100 were killed. There is space for a democratic voice in Burma. What options does it have to lead to change? It is possible that the people, like in the Philippines, have a non-violent revolution. However, that is not possible in Burma. Indonesia has to play a role. The Indonesian President is from the military. He can show the Burmese that it is possible to make a transition to democracy and you have to pressure them but also enable them see that there is a future. Dictators tend to be very nervous because they committed crimes and are afraid the people will seek revenge. South East Asian leaders have urged Burma’s military government to hold free and inclusive elections. In a statement, the leaders of the Asean regional grouping said the move would help the country to stabilise and focus on development. In a statement, the leaders of the Asean regional grouping said the move would help the country to stabilise and focus on development. Burma’s military rulers recently enacted election laws ahead of polls expected later this year. The laws prevent detained pro-democracy leader Aung San Suu Kyi and other key figures from taking part. The Asean summit is taking place in the Vietnamese capital, Hanoi. Leaders had planned to focus on improving relations between the bloc and regional trading partners. But the issue of Burma – and the absence of the Thai prime minister due to protests – overshadowed proceedings. In a news conference at the end of the summit, Vietnamese Prime Minister Nguyen Tan Dung said the elections in Burma should be “fair, democratic, with the participation of all parties”. “This will help… stabilise the country and focus resources on development,” he said. Indonesia’s Foreign Minister Minister Marty Natalegawa echoed his call, saying Burma had to keep its promises. “The main message that’s coming out from the summit is the importance of the elections that are coming up in 2010,” he said. “And not any type of elections, but instead an election that is free, that is fair, that is democratic, that is credible. Observers say the comments were unusually strong for Asean, which has been criticised in the past for failing to take a stand on members’ human rights issues. Burma’s military leaders say they will hold the first elections in two decades some time this year. But their recently-enacted election laws have been widely criticised. One law bans those with criminal convictions from taking part – ruling out most key opposition leaders, who have been jailed for their political activism. 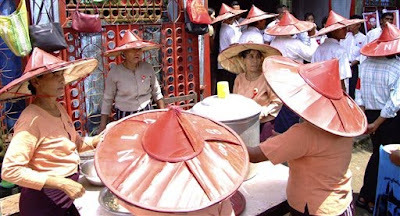 Ms Suu Kyi’s party, the National League for Democracy (NLD), has already said that it will boycott the polls. Asean, or the Association of South East Asian Nations, combines the more developed economies of Indonesia, Singapore, Malaysia, Thailand, the Philippines, Vietnam and Brunei, with Burma, Laos and Cambodia.